There are varied uses of the OpenTAP gateway protocol messaging service and here are just a few examples. Jason Brown an alarm installation engineer from Northampton works for a security firm fitting alarm systems for domestic and commercial premises. They offer their clients 2 options for first response contact and messaging. The first is they can provide their client with the more expensive Human Call Centre response, which is very good as the call centre receives signalling from the clients alarm system, and in turn the call centre personnel then make a telephone call to the customer and the second form of contact messaging which is where FranzCom comes in. Jason Brown arrives on the premises to either existing clients or a new installation and can offer the customer immediate first contact by messaging response service, by imputing the OpenTAP gateway messaging access number into the customers alarm control panel, then calls our customer service team to register the clients mobile and email details. 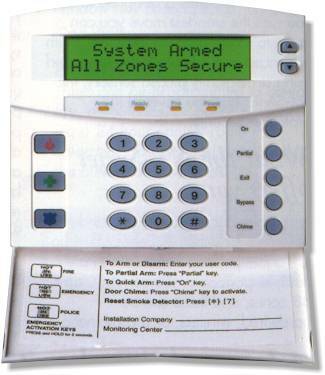 This now means that now every time the alarm is disarmed, armed or their is an emergency, the clients alarm system will dial-up our OpenTAP gateway access number and send the appropriate text and email messages to the point of contact key holder for them to arrange needed measures to deal with anything which they are now immediately notified about. The customer is always kept informed about all alarm system faults and who is coming and going from their property and any faults. Frank Robson a mobile network engineer, he travels all over the his local county working with many different types of clients. These networks require constant monitoring for maintenance and repair. It is vital that Frank is notified as quickly as possible so he can get over to the property where the network fault is and fix the problem ASAP and make sure the customers network is always connected without loss or affect to their business. Here is where FranzCom comes in! Frank uses OpenTAP gateway to receive up to the minute message updates from all the networks on his portfolio of clients that he must look after. Frank has one of these TAP gateway software clients installed on each of the customers servers, which has the OpenTAP gateway access dial-up number configured. The TAP gateway software client dials-up the OpenTAP gateway access number by means of a modem to modem connection, the TAP gateway software client sends the appropriate messages which Frank needs to see to his companies mobile phone, thus Frank is informed immediately of all faults or general maintenance required on each of his clients networks. Amazing! There are limitless applications for using of OpenTAP gateway messaging, all you need is either a TAP gateway software clients installed with modem connection or TAP gateway messaging compatible device and you can start using OpenTAP to stay informed today! Our Sales Director Ian Watts was recently in talks with a team of innovative new security specialists. Meeting at a business networking event a London sales manager for a property guardian firm was amazed at how easily the ‘OpenTAP‘ gateway number could be programmed into any property security alarm whether an installed or mobile system where his team were called. Property guardians are basically authorized by a building owner to move into your property and keep it secure but not with a traditional security guard. They move their authorized registered and vetted staff in to live. Squatting with a difference these professional individuals come from all warps of life. Firemen, nurses, factory workers all struggle to find affordable housing in the centre of London so once they have passed training and detailed checks they become registered with HQ to be eligible to take on this amazing new life. A hypothetical scenario was discussed: Day one of a contract to guard a property will entail the basics. If a property has not been occupied as a domestic dwelling i.e. an office environment then temporary wash and sanitary services will be installed. At this stage if a burglar alarm is fitted then the OpenTAP solution would prove a significant assistance by giving these new temporary residents a text on their mobile to indicate any unauthorized entry to the property. More than one mobile can be programmed on our system and so on larger offices/dwellings where more guards are in residence all receive the reassurance of an alarm set/unset text. The key to property guardians is that these are professional people with real day jobs near buy inhabiting the property to offset any risks of unauthorized occupation/vandalism.